Postcard for Neo . 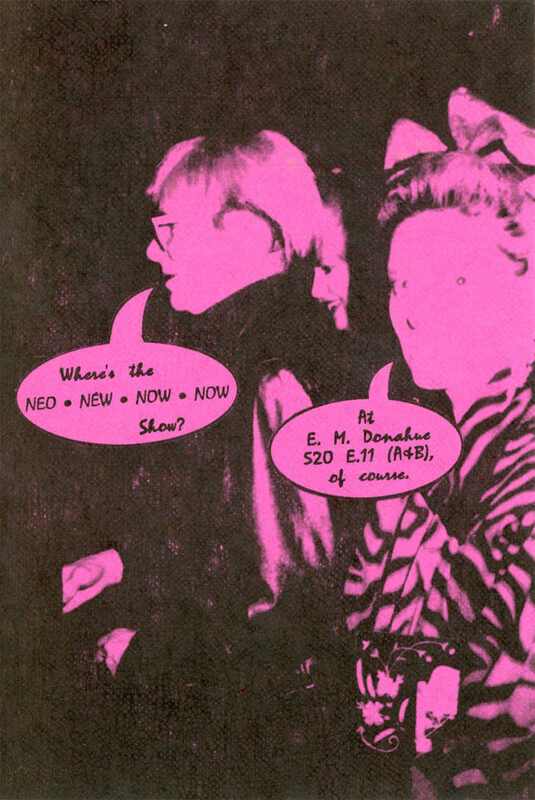 Néw . Now . 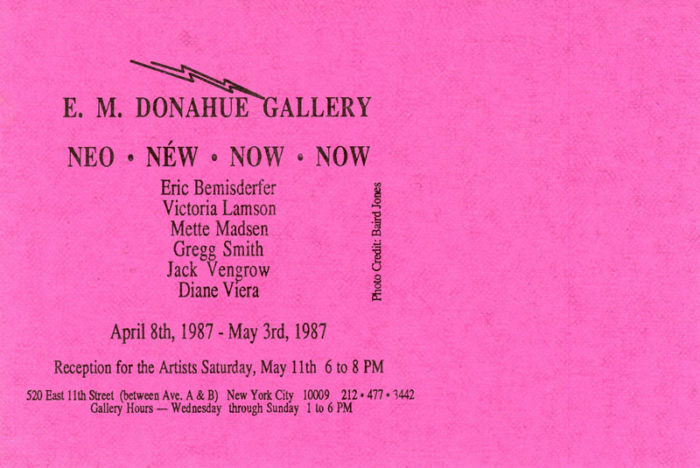 Now, a group show at E. M. Donahue Gallery, 1987. Participating artists included Eric Bemisderfer, Gregg Smith, Jack Vengrow and others. Photo on front of card credited to Baird Jones.